Poet Dana Gioia explains his approach to making work stronger and richer. 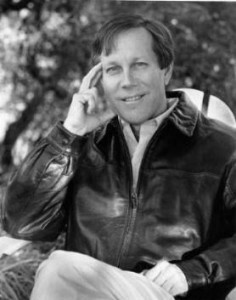 Dana Gioia has published four collections of poetry, most recently Pity the Beautiful. His poetry collection Interrogations at Noon won an American Book Award, and his critical work Can Poetry Matter? was a finalist for the National Book Critics Circle Award. As chairman of the National Endowment for the Arts, Gioia spearheaded Poetry Out Loud, a national recitation competition involving nearly half a million high-school students. We asked him to share a poem and tell us about his craft. How do you know you have a topic for a poem? My creative process is odd to explain. I never really choose a topic for a poem. Nor do I choose a form. The poem chooses me. A phrase or line comes into my head along with a powerful rush of feeling. Writing the poem is my way of figuring exactly what this impulse is telling me. I don’t will a poem into being. I unravel it. How do you figure out the shape it wants to take? Mostly, I just listen. I start writing the lines, phrases and images that come. Usually, they suggest some shape the language wants to take. The subject emerges in the same way. A poet needs to collaborate with the language. I try to figure out what the words want to do. Of course, they can’t do anything without me, but I need to be respectful of them. The language exists outside the poet, and it knows more than any individual speaker can. I try to learn from it. Let me describe the same event in more practical terms. I write the first draft in a sort of trance. I don’t try to impose any design on the poem. I just let it come in whatever way (or ways) it wants. I usually get somewhere between one and three pages of fragments before the rush of inspiration runs out. Then I often put the poem down for a day or two. When I return to it, I look at it (and listen to it) to decide what the words are telling me. Do the fragments suggest some shape? Does it want to be in free verse or meter? Does it want to rhyme? Does it want to be in stanzas? Then the process of revision begins. At this point, I think I know what the poems is about, but I’m often wrong. What I actually know is how the poem starts. I don’t always know where it is going. As I revise, I often find a very different poem emerging. The poem will take a turn I never expected. That’s when I get excited. Compulsively. The best advice I have for any young writer is to bring the same excitement and openness to inspiration to revision that you do to the first draft. Amazing things happen in revision. The poem can change in unexpected ways ‒ sometimes becoming altogether different in subject or tone from the original version. Do you have any useful methods for revision? First you make it longer, then you make it shorter. The first thing I do is try to get a complete draft of the poem, a rough version of what I think the final poem will look and sound like. Sometimes that comes quickly, but it often takes me months because I can’t initially see how the poem will end. Once I get that draft done, I try to cut out anything that isn’t absolutely necessary. Sometimes I don’t cut, but I condense. I might, for example, take two four-line stanzas and condense them into one. Over the years, I’ve learned how a poem grows stronger and richer through cutting and condensing. Why is cutting so important? A poem needs to cast a spell over the reader. It needs to capture the reader’s attention so completely that he or she relaxes and lets the poem speak to his or her memory and imagination. One bad line, and the spell is broken. It is better to say something in one memorable and evocative line than in five unnecessarily detailed and prosaic ones. Most poets over-explain. They don’t trust the reader’s intelligence. That is a mistake. The poet needs to address the reader as an equal. In a truly successful poem, the author and the reader collaborate to create the meaning. I begin the poem with the words on the page, but the reader needs to finish it in his or her own imagination. Any other secrets of revision? Well, I do one neurotic but effective thing. Once I think the poem is entirely done, I read it over to pick out the weakest line. I cross it out and come up with a better line. I will spend hours playing with just that one new line. It is astonishing what emerges. How do you know if a poem is finished? I never finish a poem. It just eventually moves beyond my control. I revise the poem, often 50 times, before I publish it in a journal. Sometimes I revise it again as soon as I see the proofs. When I put the poem in a book, I often see a line or word I want to change. I sometimes even revise the text when the book is reprinted. It is a sort of madness. But the point of the whole thing is to make something as perfect as possible.